This is what we posted yesterday:" Look at the party platform, Jewish Democrats, and see what you are and are not voting for. Then think about it." It looks as though they did. G-d is back, so is Jerusalem. It is all very clear and quite simple – ff you listened carefully to President Obama. He says what he thinks quite clearly. He is supremely confident (arrogant), and one simply has to listen to his language to know what his actions will be. There is no commitment to Jerusalem's status as Israel's capital. "The United States and its Quartet partners should continue to isolate Hamas until it renounces terrorism, recognizes Israel's right to exist, and abides by past agreements. Sustained American leadership for peace and security will require patient efforts and the personal commitment of the President of the United States. The creation of a Palestinian state through final status negotiations, together with an international compensation mechanism, should resolve the issue of Palestinian refugees by allowing them to settle there, rather than in Israel. All understand that it is unrealistic to expect the outcome of final status negotiations to be a full and complete return to the armistice lines of 1949. Jerusalem is and will remain the capital of Israel.The parties have agreed that Jerusalem is a matter for final status negotiations. It should remain an undivided city accessible to people of all faiths". That paragraph is gone in 2012. This year’s platform makes no mention of Jerusalem, and is consistent with previous Obama talk regarding moving of the borders. The status of Jerusalem as Israel’s capital is something which is non-negotiable – and the platform change is consistent with the Obama administration viewpoints on Jerusalem (it is not Israel’s capital), borders (negotiations should start at the 1949 armistice lines), and settlements (they should be frozen). The DNC Obama platform also removed language which speaks of isolating Hamas, and while the previous platform called for Palestinian refugees to be settled in a future Palestinian state — and explicitly not in Israel — the 2012 platform makes no mention of the "refugee" issue. Obama has been the most anti-Israel candidate ever to occupy the White House, so perhaps it’s not surprising - after all, the two are connected - that while the 2008 DNC platform mentioned God 100 times, the 2012 platform doesn't mention God at all. That plank has been rewritten to remove the phrase "God-given." Fitting for a man who believes government provides for people, rather than them creating with hard work, as entrepreneurs did. As Obama said, “You didn’t build that” – he believes government did. Given Obama’s anti-Israel and other anti-God stances, it is perhaps justified that God’s name was dropped from the platform. Obama, during the 2008 campaign, told “Joe the Plumber” that he needed to “spread the wealth around” – clearly that “wealth” means socialist values – which are ungodly, don’t extend to Israel and are not the American Way. It should be quite clear for all voters that this election is really about choices and core values – about the economy, religion, foreign policy and the direction of America. American Jews voting Obama are voting against Jerusalem being the capital city of our people, since King David set it up as such more than 3,000 years ago. I'd rather be a Jew with Jerusalem as the capital of Israel than an Obama supporter without Jerusalem. 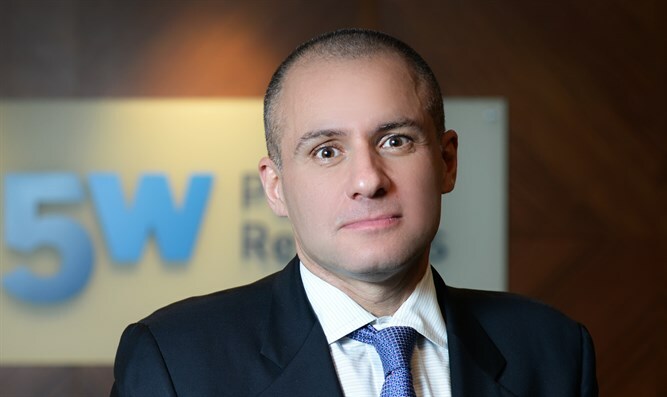 Ronn Torossian is CEO of 5WPR, a leading US PR Agency.